Liczba stron: 673 Jest to ujednolicona liczba stron, która ułatwi Ci porównanie długości książek. Każda strona Legimi to 200 słów. 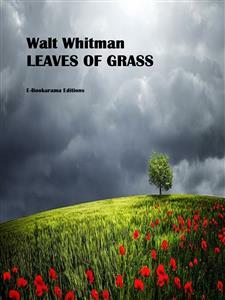 Leaves of grass collects dozens of poems that Whitman continuously revised over the last years of his life. As a whole, they explores themes of love, nature, spiritualism, and the soul, declaring that the body is one and the same as the soul. seasons, and effuse as much? O such themes--equalities! O divine average! Hear the loud echoes of my songs there--read the hints come at last. O hand in hand--O wholesome pleasure--O one more desirer and lover! O to haste firm holding--to haste, haste on with me. I mind them or the show or resonance of them--I come and I depart. descended upon her voluptuous limbs and reach'd to her feet.